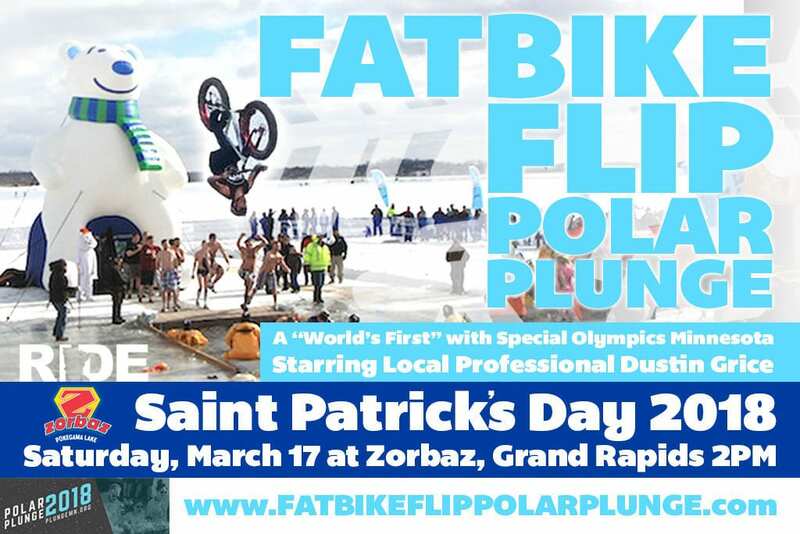 Fatbike Flip POLAR PLUNGE with Minnesota Special Olympics & Zorbaz! Join co-founder of The Factory Dustin Grice as he kicks off the Polar Plunge in Grand Rapids on Saint Patrick’s Day! A “World’s First” with Special Olympics Minnesota and Zorbaz on Pokegama Lake, Starring Local Professional Dustin Grice. 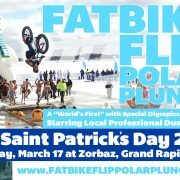 Witness Live in person at Zorbaz, in Grand Rapids on Saint Patricks Day Saturday, March 17, 2018 at 2pm when Dustin sends his bike off a jump completely upside down, rotating a full backflip, right into his first ever bone chilling Polar Plunge. Join the fun as we try to reach our goal of raising $10,000 via Plunge.org! https://ridethefactory.com/wp-content/uploads/sites/24/2018/02/Fat-Bike-Flip-Polar-Plunge-Special-Olympics-Minnesota-Dustin-Grice.jpg 684 1024 Dustin Grice https://ridethefactory.com/wp-content/uploads/sites/24/2019/04/Factory-RideE-DG-WHITE-1030x930-Purple2-450x406-450x406-1.png Dustin Grice2018-02-26 12:57:112018-02-26 12:59:39Fatbike Flip POLAR PLUNGE with Minnesota Special Olympics & Zorbaz!